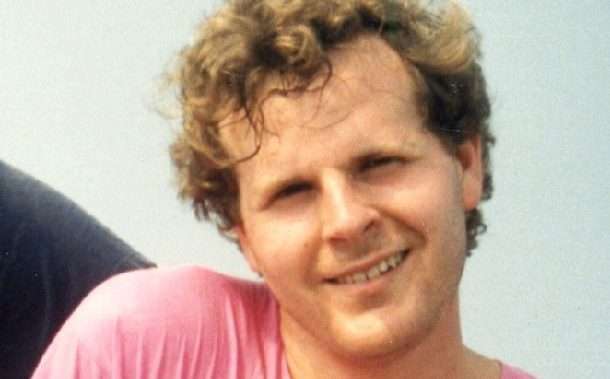 It’s taken three inquests and almost 30 years but a coroner today found that 27-year-old American mathematician Scott Johnson’s death in 1988 was the result of a gay hate attack. The finding vindicates his family’s enduring belief that he was targeted during Sydney’s notorious wave of homophobic crime in the 1980s. Johnson’s naked body was found at the bottom of a 60-metre cliff at North Head, Manly, in Sydney. “I am of the view it is very unlikely Scott took his own life,” coroner Michael Barnes said. Mr Barnes emphasised there were many reports of gangs of men converging on the area where Johnson died, a known gay beat, and committing gay hate assaults and robberies. “I am persuaded to the requisite standard that Scott died as a result of a gay hate attack,” he said. But the coroner also ruled there was insufficient evidence to identify Johnson’s killers. Mr Barnes offered his condolences to the Johnson family, who have long argued Mr Johnson was targeted due to his sexuality. “When Scott Johnson’s body smashed into the rocks … a life full of promise and exciting potential was tragically cut short and his family lost a cherished member,” he said. ACON, a health group specialising in HIV prevention, welcomed the decision with chief executive Nicolas Parkhill saying no family should have to endure three decades of such uncertainty and scrutiny, which had caused great pain, anguish and anxiety. “Scott’s untimely death has fuelled unprecedented public speculation,” he said. “It occurred during a time when homophobic violence and suspected gay hate murders were rife in Sydney, compounded by a sense of police lethargy, lack of care and inaction. “We believe these deaths were not always sufficiently investigated with the requisite due diligence, and have subsequently left many questions in their wake,” Parkhill said. The Law Society of New South Wales said the coroner’s findings represented an acknowledgement of the failure of authorities to effectively investigate gay hate crimes in the past. “Many families who have suffered the trauma of losing a loved one in violent circumstances have been further scarred by the failure of authorities to provide adequate support and assistance,” Law Society NSW President Pauline Wright said. She said police attitudes and procedures concerning crimes against the LGBTI community had improved in recent times, including the introduction of specific policies and programs supporting members of the community as well as Gay and Lesbian Liaison Officers. “However, we call on [Police Commissioner] Mick Fuller to acknowledge the mistakes of the past and assure the public that they will never be repeated,” Ms Wright said. The first inquest found Johnson committed suicide while the second did not make findings on how he fell.